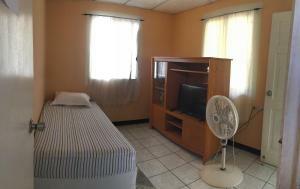 ﻿ Book Hotel Rizo Villa Fontana (Managua) - 2019 PRICES FROM A$88! Located 4.3 miles from Old Cathedral of Managua and offering free WiFi, Hotel Rizo Villa Fontana provides accommodations in Managua. All units feature air conditioning and a TV. Some units include a terrace and/or patio. A continental breakfast is served at the property. The nearest airport is Augusto C. Sandino Airport, 9 miles from the property.